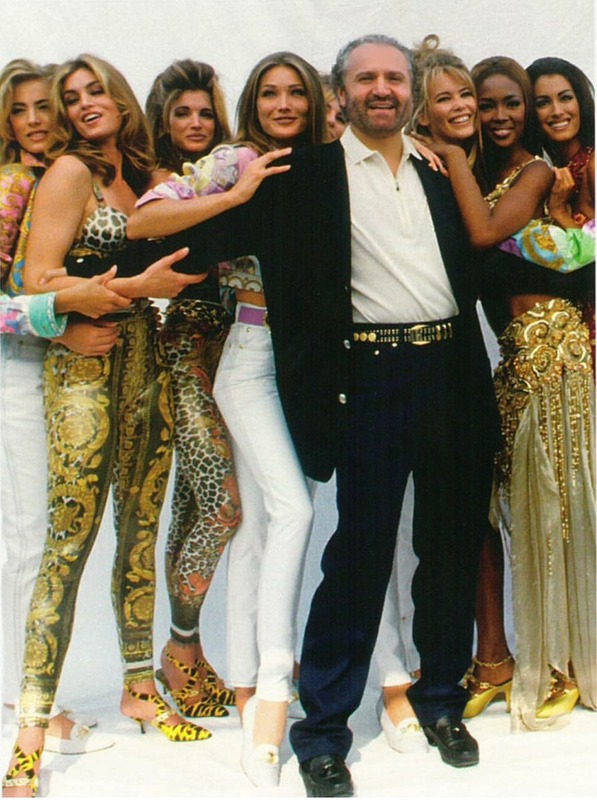 The morning of July 15, 1997 would rock the fashion world and the history of Miami Beach. 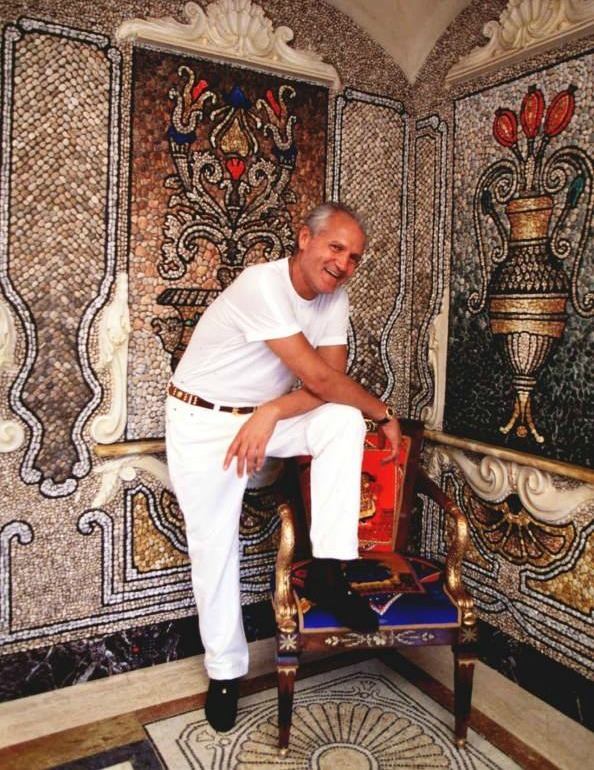 Italian designer Gianni Versace was shot to death on the front steps of his villa formally known as "Casa Casuarina" on Ocean Drive, part of the Art Deco historic district, in South Beach, Florida. This may be a somber note to start with for this fabulous blog, but Versace was influential in the transformation of South Beach. "Versace propelled South Beach to a whole new stratosphere, one that attracted artists, celebrities and the super wealthy," shares Christine Michaels resident and founder/owner of the Art Deco Tours. 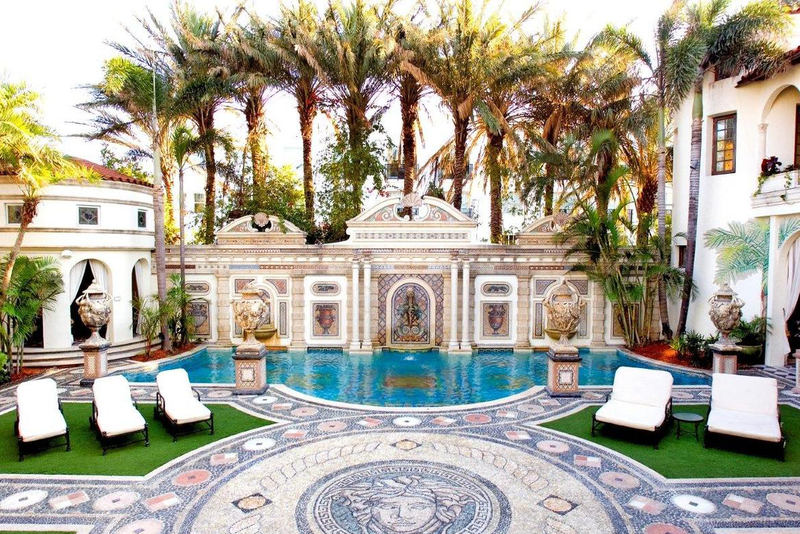 Versace moved to Miami in 1992 and purchased the dilapidated villa, originally built in 1930, and added his flair of design in every single room. This was his third home at the time and interesting enough he stayed during the hottest months of Miami, July and August. It is also the least crowded in South Beach. It remains the only house on Ocean Drive and unless visitors read beforehand about what to find on Ocean Drive, few know it was the home of the legendary designer who was killed at the ripe age of 50. 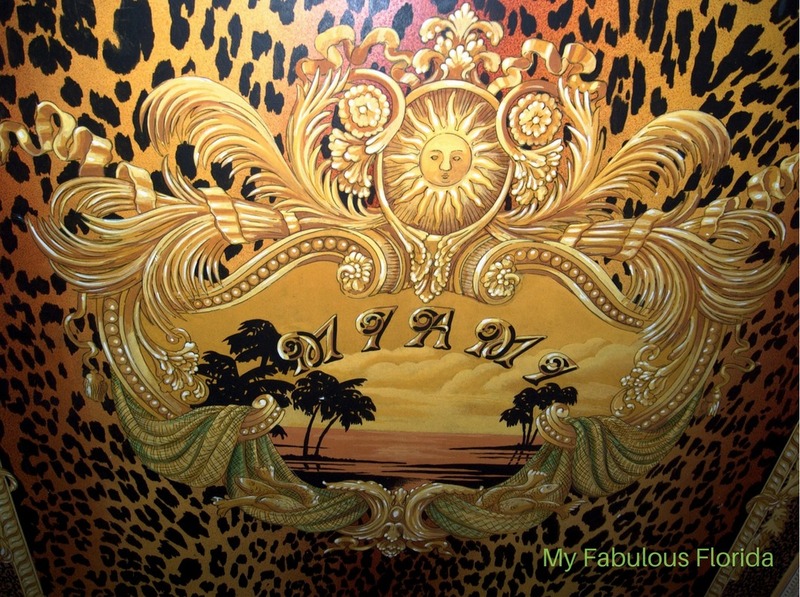 When they do stumble upon the villa, one is drawn to the beautiful "elephant" on Art Deco row. It is the most photographed building in Miami, mostly for morbid reasons. Tragically, Versace was shot to death on his front step by spree killer, Andrew Cunanan. Versace mansion on Ocean Drive known as "Casa Casuarina"
"I used to see Versace regularly walking on the sidewalk, no bodyguards, especially on Saturday nights to come outside, steps from his home, to hear Alex Fox play Spanish guitar for a free public performance. To add to the flair and Latin theme, Alex's wife danced flamenco. It was a lively show, and therefore it drew crowds and Versace blended in. No one noticed or knew," continues Michaels." But everyone knew his 'over-the-top' designs." Versace revolutionized the catwalk with his brash use of color and sexuality. This spilled over into the design of his home but also respected the traditional history of cultural details as seen below in the Middle Eastern inspired shower. With regards to fashion, he was inspired by the punk era and incorporated neon colors, graffiti and metal mesh into his sartorial showcases and ushered in the concept of "street style" haute couture and glamour, now a garden variety on the red carpet. 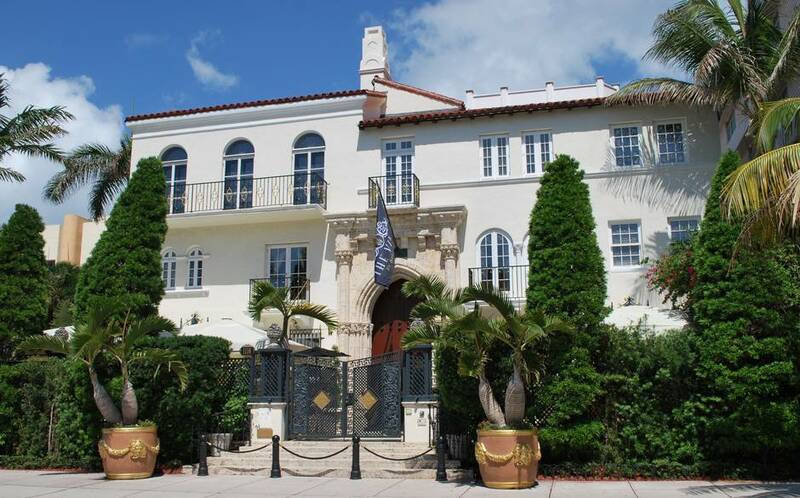 Visitors to South Beach are fascinated by the Versace villa and all its glorious stories. Today the Versace villa is a boutique hotel with ten guestrooms, including Versace's room, and a restaurant. Only those with a hotel or restaurant reservation may enter. However, to learn more about the entire history since it was built, the purchase by Versace in 1992, the renovations/additions, storied parties and events inside, the day he was killed and aftermath, and the auction of the building, then you'll want to take the Art Deco Walking Tour or Art Deco Cocktail tour. While the tour may not enter, tour guides can fill you in on factual history leading up to current events and share exclusive photos of the interior. James Cubby, a professional guide for the tour company, once worked as a nightlife reporter for ten years during the Versace Miami years. The mansion still holds many surprises and secrets in terms of both architecture and occurrences. Between Christine Michaels and James Cubby, no two people know more about the entire history of this building, the architecture, the design, the people, and the salacious happenings, says Norma Fischer, a native resident. "Cubby's eyewitness stories are what movies are made of."